Nov. 20, 2018, 10:53 a.m.
By Nicholas Quah Nov. 20, 2018, 10:53 a.m. Welcome to Hot Pod, a newsletter about podcasts. This is issue 186, published November 20, 2018. ICYMI: Jacob Weisberg and Malcolm Gladwell’s new audio venture, Pushkin Industries, stepped into the open last week, and the company also announced a new chief marketing officer: Heather Fain, a book publishing veteran. Here’s an interesting personnel move: Jonathan Zenti, the creator of Meat (a finalist for Radiotopia’s PodQuest competition back in 2016), joins the podcast technology company VoxNest as head of content. As a result of that frustration, she recently took a sabbatical and moved back to her native Scotland. She had gotten interested in what was going on north of the border, and ended up pitching BBC Scotland the prospect of her getting involved in whatever budding podcast operation they had. Her idea was to produce podcasts in Scotland while feeding in stories from across the UK to the new BBC Sounds app. The first show Tracey worked on at BBC Scotland was The Doorstep Murder, a true crime podcast that was already in development when she arrived, where she helped to better structure it “like a podcast.” The Doorstep Murder did well upon release, helping to prove the concept to higher-ups, Tracey told me. In February 2018, she wrote a strategy paper for BBC Scotland about podcasting. Specifically: the tried-and-true genre of political podcasting. The reason for this was straightforward. “Politics was the subject people came back to time and time again,” she noted. Against this backdrop, Tracey embarked on a process of trying to imagine what a BBC political podcast based in Scotland should sound like. “For me, it was all about working out a process and getting a group of people together who fundamentally understood podcasting,” she said. She made eight different pilots, trying out numerous BBC journalists from different bureaus to see if they could capture the easy, freewheeling tone she was aiming for. They built scripted and unscripted prototypes, with various different levels of editorial intervention. Tracey is a fan of American podcasts that, from her perspective, typically have dedicated time and production runways. She recognizes that she can’t command the same kind of dedicated resources. Instead, she’s finding ways to work within the BBC with whatever time and budget she can find. It feels like a realistic model for the future, grounded in the practicalities of the UK scene, as opposed to a lot of the blue sky talk that I’ve seen going around at the moment. One of Tracey’s political podcast creations is Podlitical, which launched on September 20. It’s anchored by Lucy Whyte from the BBC Glasgow newsroom, where she’s also joined by Annie McGuire, who does social media for Question Time, Philip Sim, who calls in from the Scottish parliament in Edinburgh, and Nick Eardley, who reports from the UK parliament in London. The show is solid: the hosts display good chemistry, and the conversations often feel to the point and backed with preparation. It finds a good balance in letting the hosts cut loose and finding the right allowances for humor and joshing, which bucks against the potential feeling of being directionless, baggy, or self-indulgent — maladies that afflict plenty of other political podcasts on the charts. “I’ve asked them to do something that’s incredibly difficult,” Tracey said. “I’ve asked them to be chatty about politics and current affairs, and at the same time maintain high editorial standards and impartiality.” It’s actually a bit of a jolt when you realize while listening to Podlitical that it is a BBC show — it sounds so completely unlike the usual formal, methodical tone used elsewhere on current affairs programming across the organization. The hosts tease each other, make mistakes and then correct them, and generally sound… human. The fact that it’s not made in London helps with this too, I think. Tracey hasn’t reinvented the wheel here — her political podcast is essentially a roundtable of pundits gathering once a week to analyze, dissect, and opine about recent news developments. But there are lots of small decisions she’s made that make it feel like a subtle shift away from the classic, rambling political podcast. The diversity of accents for one thing: I can’t remember the last time I heard a group of mostly Scottish and Northern Irish voices talking politics on the BBC, or any major national outlet for that matter. Then the fact beneath the cheery tone lies a formidable body of research and data is a difference too. No vague “oh I can’t remember exactly, you know, something like that” here: while the hosts might joke about how long it would take to read the 585-page draft Brexit agreement, they have, in fact, read it (or as much of it was still relevant by the time they recorded; our political system is slowly imploding at the moment, idk). Like the new local radio podcast feed Multi Story that I wrote about a few weeks ago, Podlitical takes advantage of the BBC’s reach and breadth of talent. I hope all of Tracey’s piloting and strategy work provides a blueprint for others in newsrooms around the country. Hers is a format that is worth replicating. I continue to be fascinated by the puzzle of smart speakers and news consumption, which doesn’t appear to be a behavior that’s growing proportionally with the rise in device adoption, according to a recent Reuters Institute for the Study of Journalism report. Nieman Lab has a great summary. The heart of the problem, it seems, is the black boxes of data: neither Amazon nor Google nor Apple were willing to share data or discuss how news is being consumed on their respective smart speaker devices. 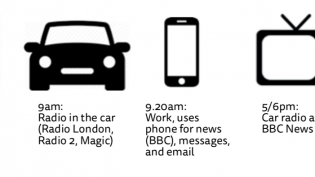 A tricky predicament, one that does not bode well for future smart speaker-news publisher relations, and also completely in keeping with tech-media industry dynamics that we’ve seen so far. ESPN will apparently broadcast three hours worth of 30 for 30 Podcasts across its owned-radio stations around the country on Thanksgiving afternoon (1-4pm ET). As Planet Money’s Nick Fountain pointed out, this time slot sets the sports doc podcast up against The Splendid Table’s live call-in show. A fight to the death, this. WNYC Studios’ 2 Dope Queens ended its run last week with a final episode that featured an interview with Michelle Obama. By closing the podcast, the duo of Jessica Williams and Phoebe Robinson appears to have completed a full transitional arc: from live show to podcast to television. Producers Eleanor McDowall and Heidi Pett are running a survey to crowdsource a rate card for audio production in the UK “to try and make pay more transparent.” If you work in the industry, fill it out here, and keep an eye on the UK Audio Network page for the results. Reprocessing the limited-run podcast documentary. Here’s a weird one for the holiday week. I’ve been mulling over this topic for a while, as it’s something I’ve encountered fairly frequently in conversations for some years now, and I don’t have any particularly conclusive takeaways, so please bear with me as I process this out loud. Let’s say you found a great story. Maybe it’s the story of a lifetime. It’s got everything: a solid hook, buckets of fantastic archival tape, living principals who are willing to talk, and a satisfying resolution that gives closure and meaning to the entire enterprise (which, really, is the rarest find of all). Let’s also say you’ve deemed this to be a story best told in five parts. It’s too complex to be a one-episode deal, or even a two-parter, but any longer and you’d be dragging feet. Rich and complicated but tightly wound: that’s the goal. You feel confident this story will kill. But let’s also say you are, for the most part, working from scratch. You’re not part of an ongoing podcast that can serve as the staging ground for a project like this. You’re an experienced producer, but you don’t exactly have name recognition. You’re doing all right financially, but you don’t have enough capital buffer to personally stake this bet, which probably requires significant resources to get off the ground. Money, sure, but also time spent reporting, gathering tape, structuring, editing, writing, going crazy. That’s a lot of time you could have spent working another paid contract for another branded podcast or something. It’s a tough equation. But what makes the equation infinitely tougher is the relative low ceiling of the upside for first-timers. Even if you were able to cobble together the resources to produce this thing, there’s no guarantee you’d get to adequately capture the returns should the project actually take off. In fact, your material return will almost certainly be a fraction of whatever audience you end up pulling in. That’s because the podcast business, in its current form, isn’t particularly built to reward brand-new projects that end after only five or six or ten episodes. 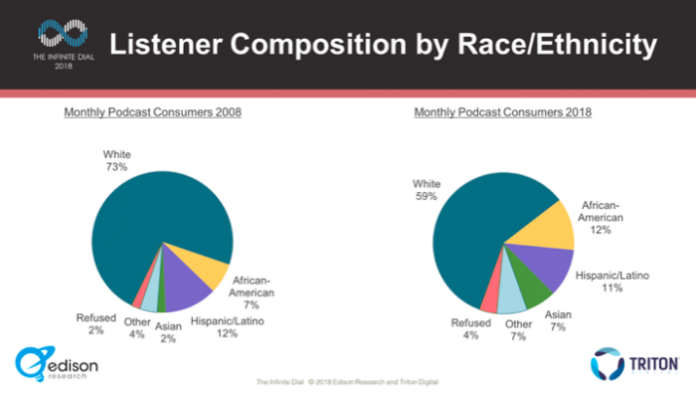 Podcast advertising dollars tend to favor persistently publishing shows with clear track records — which makes sense, of course, given that advertisers themselves are controlling for risk and have their own goals to hit. There may well be an emerging class of advertisers that’s willing to take those bets on limited-run projects with potential high audience upsides from new teams, but those pre-launch deals tend to be conservative. Again, that’s the risk control for the adventurous advertiser: it’s a buy-low, sell-high prospect. This state of affairs puts new producers and teams with limited-to-no track records looking to develop a limited-run series at a severe disadvantage. Upstarts have to shoulder the entirety of their own risk when getting new projects off the ground. (This is true for creative production, but also marketing, which, in a publishing environment defined by relatively open distribution, is the significantly tougher barrier.) This is a typical condition of the creative industries, and it’s generally true across categories, but the burdens of this are unusually expressive when it comes to the limited-run podcast documentary, especially when you consider the fact that, even if such a project far exceeds initial expectations, the gains tend not to come from the immediate achievement but are generally pushed down the line. It became clear that Serial’s producers had far more modest goals for their project — so modest, in fact, that they lost out on millions of dollars in unrealized revenue. “When we launched, we hoped for 300,000 downloads,” co-creator and co-producer Julie Snyder told me. So the producers sold the first season to MailChimp, an email-marketing service provider that you’d probably only know about if you listened to copious hours of podcasts. Snyder wouldn’t share the CPM rate at which MailChimp agreed, but she noted that “expectations weren’t huge.” MailChimp bought Serial spots, in other words, well before Serial knew just how valuable they actually were. 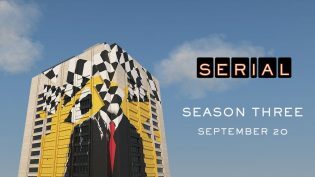 Did Serial’s Season 3 score the single biggest podcast sponsorship deal ever? Breakout hits can still extract value from their overperformance, of course, but as mentioned previously, only over the longer term. A podcast advertising exec recently told me that, in pre-launch advertising deals, both parties try to leave a way to monetize in the event of a runaway hit. With the increasing ubiquity of dynamic ad insertion technology, there’s the potential to bring in more revenue based on the project’s ability to generate a long tail. And more importantly, overperformance increases expectations around the next project. The pre-launch advertising market eventually balanced itself out for Serial. Ahead of launching its third season earlier this fall, the show booked what may have well been the biggest pre-launch advertising deal to date, courtesy of ZipRecruiter. But all those returns are nonetheless still generally delayed and, more pressingly, contingent. Sure, a breakout limited-run podcast documentary generates potential energy that can be parlayed for better pre-launch advertising deal terms to back the next project, which may seem like a straightforward positive on the surface, but it’s actually more complicated than that. All that potential energy translates into pressure to ensure the success of the follow-up project (which, by the way, you might not have come up with just yet), where the threat of a sophomore slump looms large. In fact, the pressure to replicate what made the first project work and quickly execute the follow-up project to capitalize on those expectations — fleeting as they may be — may exacerbate the likelihood of a sophomore slump. The end result is a situation in which follow-up projects, which are supposed to be the vessels that finally remunerate the producer, over-promises but under-delivers. That’s bad for the creator. And if it happens a lot, that’s bad for the industry. All this makes for an industry environment that’s deeply prohibitive to the sustained growth of the limited-run podcast documentary pool. In a nutshell, the conundrum can be best expressed as: high startup risk, agonized and patchworked returns. These conditions greatly reduces the incentive for new teams to participate in and experiment with the format, and it also reduces the incentive to commit substantial investment to such projects. Which is a total bummer! Speaking personally, the limited-run podcast documentary is the format I’ve come to love and admire the most from this medium. I would love to see more of such projects from a greater variety of teams and people, but the current incentive environment doesn’t make that easy. What I’m trying to think through are things that can reduce the risk and increase the direct returns for upstarts as it pertains to that first project. There have been a few hopeful industry development in this direction over the years, but as with all things, they come with tradeoffs. The magnitude of these trade-offs will likely be greater accentuated when it comes to a pure paid podcasting platform, the prospect of which is currently embodied by Luminary Media. It remains to be seen whether paid podcasting will fully take in the American market — though apparently it’s big in China — but I imagine upfront paydays, distributive reach caps, and gatekeeping dynamics are all more severe when it comes to something like Luminary. The increased involvement of talent agencies, plus the corresponding growth of the podcast-as-IP phenomenon, is also worth noting as potential derivative revenue for limited-run podcast documentaries. But this development doesn’t particularly change the core equation: first-timers still have to shoulder the startup risk, and the benefits from this layer still tend to be very much delayed and after-the-fact. The sweet spot, I think, is to find a mechanism that’s able to assume some of the first-timers’ risk while not placing any limitations on potential natural reach — to simply raise the floor of that first limited-run documentary project without fundamentally changing the ceiling. What would that mechanism be? I have no idea. Look, as I mentioned, I’m just thinking this one through out loud. I guess what I’m saying is that podcast publishing companies should have divisions that function like venture funds. Or maybe that’s a clear way for legacy magazine companies to participate in podcasting, instead of slapping together rough audio facsimiles of a magazine. Documentary podcasts are basically features, right? Anyway, my brain is fried. Thanks for reading. Photo by Alosh Bennett used under a Creative Commons license. POSTED Nov. 20, 2018, 10:53 a.m.